SAN DIEGO (KGTV) - A San Diego woman says she was the victim of a violent attack inside her hotel room at the high-end Omni La Costa Resort and Spa in Carlsbad. 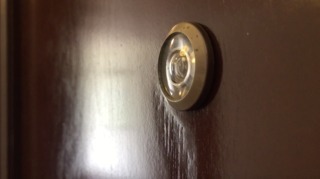 In an exclusive interview with 10News, Jacquee Renna is accusing the front desk staff of handing out her room number and a key without her permission. The hotel is staying tight-lipped with 10News about the apparent security breach, but it's giving details to the courts. "I haven't felt safe since then," Renna tells Team 10 Investigative Reporter Jennifer Kastner. "Suddenly, I heard the door kind of jiggle and I thought [room service] was coming to get our plates," she explains. She and her boyfriend were finishing dinner inside their hotel room when she says her ex-husband was able to unlock the door and break through the security latch. "I saw the key in his hands so he had the key," she tells us. "He threw me over onto the bed. I could see rage in his face." Court documents claim her ex-husband punched her boyfriend in the face, dragged him at least twenty feet and kicked him in the head. Renna says her ex-husband then ran out to the parking lot, where he apparently slashed her boyfriend's tires, before leaving. "[My boyfriend] had bruises and scrapes. I think we were both really in shock," she says. "The Omni has a responsibility to provide safe and secure rooms to their guests," says her attorney, Robert Fitzpatrick. He's helping her sue the hotel chain for negligence. Renna says that after the attack, the hotel manager apologized to her and said the hotel's front desk person had given the key to her ex-husband. Fitzpatrick adds, "Omni should never have given a key to the hotel room and they should have not disclosed the hotel room number." Hotel room attacks are uncommon but have made headlines in Southern California. Earlier this year, Covina police say security video caught a pastor lurking outside a Los Angeles hotel room, touching himself as he watched two girls who were alone inside. Officers report he later forced his way into the room and assaulted an 11-year-old. He was charged, but has pleaded "not guilty". Disturbing 2014 security video out of Kern County captured a front desk worker handing a room key to a man accused of posing as a female guest's boyfriend, before he reportedly fumbled with the room's peep hole, went inside, and sexually assaulted the woman while she was sleeping. He's seen running out with his pants around his ankles. He was convicted and a jury found that the hotel was partially responsible for the assault. It begs the question, who is responsible for making sure hotels in San Diego are keeping guests safe? To get answers, Team10 spoke to the San Diego Hotel-Motel Association, the San Diego Tourism Authority, local hotel negligence attorneys and private security professionals. None of them knew of any local, state or federal authority that has oversight. Hotels are left to police themselves. The Omni Hotel chain denied our request for an interview to discuss the new lawsuit, citing that it doesn't talk about pending litigation. It did send us the following statement. "The safety and security for our guests and associates alike is of the utmost importance. We evaluate and update security policies and procedures as needed, but do not disclose this information publicly." Court records, though, reveal it's trying to place blame at lease some of the blame on Renna's ex-husband. It's suing him and alleging he defrauded the hotel to get a key after he presented his identification, which had the same last night as Renna. The hotel alleges he misrepresented that he was staying in her room and needed an extra key. In addition to seeking monetary damages, Renna hopes her story will result in further training for front desk employees. She's reportedly had panic attacks since the incident and is currently in counseling. She travels for work and says she no longer feels safe while saying in hotels.